I don’t cover elections in small Caribbean islands, mostly because they have very small and largely unknown political setups and very little is known by the western media community about these elections (though granted, they don’t know much about any foreign elections). Two elections took place in the Caribbean this past month: on January 22 in the Netherlands Antilles and on January 25 in Saint Kitts and Nevis. The Netherlands Antilles, composed of two major island groups; the Leeward Islands — Bonaire and Curaçao and the Windward Islands — are Saba, St. Eustatius and St. Maarten; are self-governing in domestic affairs since 1954, but the entity is scheduled to disband when Bonaire, St. Eustatius and Saba become Dutch municipalities while Curaçao and St. Maarten become independent countries within the Netherlands, like Aruba. Each island has its own political parties, but Curaçao parties dominate due to the island’s larger population. In Curaçao, the centrist Party for the Restructured Antilles, currently in power, won an additional seat for a total of 6 seats against 5 for the centre-left New Antilles Movement. The pro-independence Sovereign People party won 2 seats. In St. Maarten, the National Alliance has won the island’s 3 seats. In Bonaire, the Bonaire Patriotic Union won 2 seats against one for the Bonaire Democratic Party. In smaller St. Eustatius and Saba, the Democratic Party Sint Eustatius and the Windwards Islands People’s Movement respectively won their islands’ sole seat. Saint Kitts and Nevis, the smallest sovereign state in North America, independent since 1983, held elections for eleven members in its 15-seat legislature, the other four include three nominated members (called Senators and nominated by the Governor General) and one ex-officio member (the Attorney General). The centre-left Saint Kitts-Nevis Labour Party (SKLP), led by Prime Minister Denzil Douglas, has been in power since 1995 and was re-elected in 2000 and 2004. The opposition is led by the conservative Peoples’ Action Movement (PAM), which under Prime Minister Kennedy Simmonds ruled the islands between 1983 and 1995. The island of Nevis, which is smaller and with an historical tendency to oppose the stronger federal power in Saint Kitts (it attempted to secede in 1998), has two political parties; the Concerned Citizens’ Movement and the Nevis Reformation Party, both of which originally supported independence for Nevis. The opposition’s campaign was mostly a campaign for change, focusing on corruption, cost of living and crime as well as the nation’s mounting foreign debt. The SKLP lost one seat and 3.6% of the vote nationally, but Douglas won re-election with 91.4% in his constituency and PAM leader Lindsay Grant failed in his attempt to win a seat by only 29 votes. A change of a bit more than 700 votes in Saint Kitts in three constituencies would have given the PAM 5 seats to Labour’s 3 seats though Labour would still have won the most votes. A presidential election was held in Sri Lanka on January 26. These are the first elections held after the Sri Lankan Civil War opposing the island’s Sinhalese Buddhist majority to its Tamil Hindu minority in the north and east of the island. The war, which started in 1973, killed over 80,000 people and ended only in 2009 with the Sri Lankan army’s defeat of the Tamil Tigers. The election, originally scheduled for 2011, the incumbent President, Mahinda Rajapaksa, first elected in 2005, sought a fresh mandate in the midst of his his party’s high popularity due to the victory in the civil war. Mahinda Rajapaksa, a member of the Sri Lankan Freedom Party (SLFP), the largest member of the governing United Peoples Freedom Alliance (UPFA). Founded in 1951, the SLFP is a left-wing but staunchly Sinhalese nationalist party. Under the leadership of two of the SLFP’s most famous figures, SWRD Bandaranaike and his widow, Sirimavo Bandaranaike, the island’s official language became Sinhalese and later became a republic outside the Commonwealth, a republic known as Sri Lanka (the old name being Ceylon). Rajapaksa, who had served as Prime Minister between 2004 (when the UPFA-SLFP won the legislative elections) and 2005, was narrowly elected and his election signaled a ‘hard-line’ towards Tamil nationalists. The main opposition in Sri Lanka’s two-party system is the neoliberal United National Party (UNP), historically dominated by the Senanayake family. While it less nationalist (meaning, in this case, more pro-American or pro-British), the UNP still maintained a hard line towards the Tamil rebels while in government. However, under Prime Minister Ranil Wickremesinghe, the UNP attempted to engage a peace process with the Tamils, which eventually failed. Ranil Wickremesinghe was narrowly defeated by Mahinda Rajapaksa in the 2005 election, with 48.4% against 50.3% for his rival. Most of Wickremesinghe’s support came from the Indian Tamil (called ‘estate Tamils’ – Tamils brought in by Britain from India to work on tea plantations in the middle of the island) and Muslims, but the Tamil Tigers had called on Sri Lankan Tamils to boycott the polls, dooming Wickremesinghe. Mahinda Rajapaksa, riding on a wave of popularity since the defeat of the Tamil Tigers, did face a tough opponent from the opposition. The National Democratic Front, which included the UNP but also the communist Janatha Vikmuni Peramuna (JVP, a former rebel group), nominated General Sarath Fonseka, who led the final charge against the Tigers can claim credit for the Sri Lankan victory. During the campaigns, there allegedly was a lot of violence directed towards the opposition and the opposition claimed they were strongly concerned about fraud. Predictably but amusingly, there was a stark ethnic division again. Despite being a hard-line General during the Civil War, Fonseka apparently managed to appeal more to Tamils than Rajapaksa could (though Rajapaksa managed a very good showing, comparatively, even in the hard-line Tamil stronghold of Jaffna in the far north). 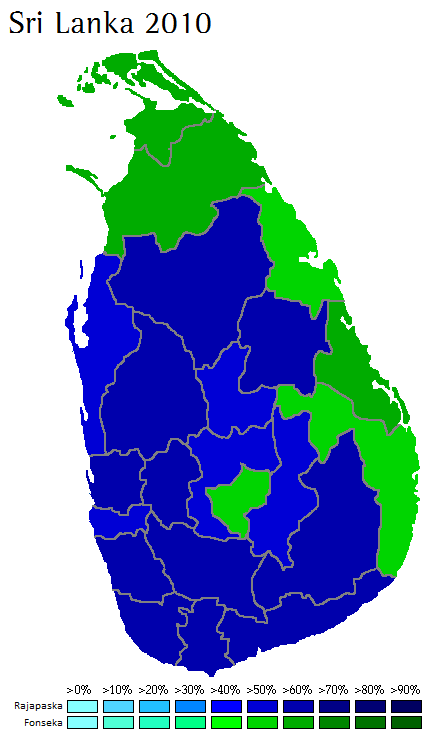 All of Fonseka’s victories came in districts with a non-Sinhalese majority of plurality, either Sri Lankan Tamil, Muslims or Indian Tamils (the green island in the middle of the blue sea of Rajapaksa). However, it is worth noting that turnout in Tamil areas remained very low – 25% in Jaffna for example (though turnout there in 2005% was 1%). Fonseka has, as all opposition candidates do, denounced fraud. The special election for the US Senate seat of the late Ted Kennedy was held yesterday, January 19. The Senate special election in a normally very safe Democratic state attracted national attention when polls showed that the Republicans were closing in on the seat and even leading the Democrats. I covered the candidates, the issues and other stuff in an election preview post. Turnout was 54-55% or so, quite high for a special election. This makes the patterns in this election more notable and noteworthy than those in regular special elections with very low turnout. A lesson is to be learned here, to an extent. Undoubtedly, a shocking Republican victory in such a Democratic state and a seat which has elected Democrats since 1953 and two Kennedys. Beyond the symbolism, this becomes the ’41st’ Republican seat, as Brown and his supporters made very clear last night. This is significant because it ends the Democrats’ filibuster-proof 60-seat majority. This allows Republicans to block Obama’s health-care reform in the Senate, which they are very likely to do. The election has undoubtedly sent shock waves down the spines of many Democrats facing voters in November. What caused Coakley’s defeat and Brown’s underdog victory? Firstly, the candidate. Coakley won the primary in December and came out with a 20-point lead or so, but then went MIA and returned only when the polls showed that her lead had been cut from 20 points to a tie or a deficit of 1-5 points. The Democrats frantically tried to do anything they could, getting Obama and all the bigwigs to stump for Coakley. Coakley was undeniably a bad candidate with little charisma and campaigning abilities. While she was MIA, Scott Brown was actively fundraising and hitting the ground with positive and powerful ads. He put his name on the map, and his more populist campaigning style appealed to a number of voters. Who were these voters? 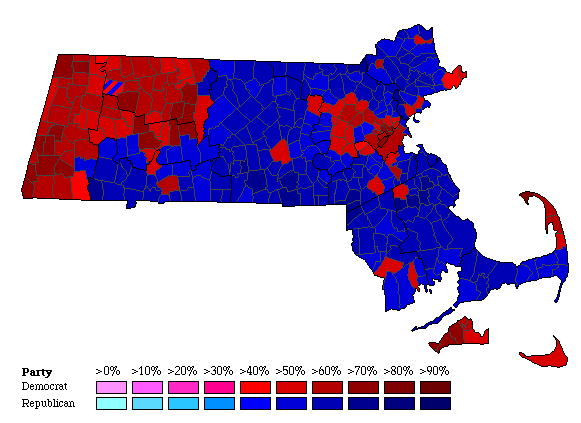 The map shows that Brown destroyed Coakley in traditionally centrist and affluent suburbs (as opposed to liberal affluent suburbs). Most voters here are independents, a group which forms around 50% of voters in the state, and oppose the administrations’ spending policies and high taxes – economy was a major point in Brown’s platform. In addition, Democrats lost the most (compared to 2008) in white working-class areas, notably old mill towns. Lowell, a name which immediately reminds one of the early industrial era which started in Massachusetts, narrowly voted for Brown. The towns in which Democrats lost the most grounds have an unemployment rate higher than the state as a whole. At the same time, reliably Democratic voters, notably minority voters, stayed home in larger numbers. What is worrying for Democrats is that these patterns were seen in the 2009 elections in New Jersey, Virginia and parts of New York. On the other hand, Democrats held their ground better in the Berkshires (rural sparsely populated areas in the west of the state which are similar demographically to Vermont), college towns and rich liberal areas. Voters in these areas are more supportive of Obama and have less beef with the administration’s economic and healthcare policies. The New York Times have an interesting set of maps. A comparison with the map of Romney’s 2002 victory is particularly interesting, showing that Brown appealed more than Romney to working-class voters but Romney performed better in Boston’s suburbs than Brown did last night. Chile held the presidential runoff election on January 17, 2010 to elect a new President to succeed term-limited President Michelle Bachelet. The runoff opposed right-wing billionaire Sebastián Piñera against former President Eduardo Frei, who represented the incumbent centre-left coalition. Piñera led Frei by a large margin in the first round, likely due to the 20% showing of left-wing independent Marco Enríquez-Ominami and the respectable 6% showing of Communist candidate Jorge Arrate. I said following the first round that the runoff would tighten significantly, and that it wasn’t a slam dunk for Piñera like the first round was. Frei managed to gain the endorsement of Marco Enríquez-Ominami and significantly closed the gap with Piñera. In the end, Piñera won, as expected, but it was not an acclamation. Frei did best in Chile’s mining centre, in the Atacama and the surroundings, and also in other important industrial or copper-mining areas south of Santiago. It is quite interesting how Frei’s support has become concentrated mostly in those mining and working-class areas. Piñera won the non-industrial areas, such as Santiago, which the left had won in 2006. In the realm of results in interesting places, the 50 Chilean scientists in Antarctica continue to prefer the right – it voted for Piñera in 2006 already – giving Piñera 78% of the vote. In the commune of Chaitén, destroyed by a volcanic eruption in 2006 or so, 2900 or so people voted and Piñera won 75%. Finally, Piñera won 60% on Easter Island. Piñera’s victory represents the first right-wing President of Chile since Pinochet, who fell in 1989. It is also the first electoral victory of the right since 1958 (although in 1964 the traditional right supported the winning candidacy of Eduardo Frei Montalva – a Christian Democrat). It’s significant when dealing with stuff like ‘historical dates’ and so forth, and it could be interpreted as the end of Pinochet’s influence over Chilean politics. The centre-left Concertación (an alliance of parties opposed to Pinochet in 1988) has held power since 1989. What, however, has caused the victory of the right? It’s not a widespread discontent with Bachelet – she leaves office with a glorious record and 80%+ approval ratings. It’s not entirely dissatisfaction with the Concertación: it still polled 44% in the parliamentary elections last December and it didn’t take a trouncing either way. Piñera’s ability to give the Chilean right a more centrist and pragmatic image has given him and his alliance a boost. It is significant in a country where the right was associated with the Pinochet dictatorship until very recently. His economic policies have been far from ultra-liberalism, and he’s praised some of the left’s policy. In fact, his main campaign theme was law and order and other non-economic issues. Piñera’s charismatic style helped him, especially in contrast to an old and uncharismatic Frei. Lastly, voters, while not rejecting the Concertación in a landslide, are unhappy with the Concertación’s “old ways” and the success of Enríquez-Ominami in the first round showed this. That being said, Piñera doesn’t have a majority in either chamber and will need to rely, probably, on a bunch of independents and regional independents in both chambers. As a result of this parliamentary situation but also because he has proposed little radical change, his policies won’t be that huge of a change from the left. Chile’s pragmatic governance is likely to continue under a new face. The first round of the Ukrainian presidential election was held on January 17, 2010. The results were largely similar to what the polling had predicted, and the runoff will predictably oppose the leaders of Ukraine’s two major political camps: pro-Russian and pro-western. As expected, Yanukovych came out far ahead of the field. This doesn’t reflect a huge swing in his favour compared to 2004 (he did better in 2004 in fact), or even 2007 (he polled only marginally better than his party in the 2007 legislative election) but partly the fact that he has established himself as the main candidate of the pro-Russian vote. He has taken votes which in 2004 went to the Socialists (Moroz) and the Communists (Symonenko) and was not hurt much by the candidacy of the pro-Russian businessman Sergei Tigipko. Yulia Tymoshenko didn’t benefit from the same unity on the pro-western side, which has been historically racked by divisions. A glance at the map reflects that she didn’t enjoy the huge margins that Yanukovych enjoyed in his strongholds. However, on a possibly positive note for the runoff, the division of the vote in western Ukraine doesn’t benefit Yanukovych a whole lot – though Yanukovych did gain some ground in those regions. She polled best in central Ukraine, which has usually been her electoral base. She suffered from good performances by Yuschenko and Yatsenyuk in Galicia. President Viktor Yuschenko has set a world record for the lowest vote for an incumbent in a presidential election. He defeats former Slovakian President Rudolf Schuster who won 7% seeking a second term in 2004. Yuschenko polled best in Lvov and Galicia – up to 30% or so in Lvov and slightly lower elsewhere in Galicia. Arseniy Yatsenyuk polled best in Chernivtsi Oblast, his home region, and elsewhere in Galicia. Yanukovych has a 10% lead over Tymoshenko, and both candidates have relatively strong reserves. Like in the recent Chilean election, a large margin in the first round hides a runoff which is much narrower. The geographic base of Tigipko’s votes would indicate that they would likely flow in large part to Yanukovych but Tigipko will not endorse a candidate and it remains to be seen if his voters stay home. Yanukovych can also count on the Communist votes, what’s left of them. The geographic base of Yatsenyuk and Yuschenko’s votes indicate that they would likely flow to Tymoshenko. However, there’s some very bad blood between Tymoshenko and Yuschenko, who pretty much hate each other and some have worried that Yuschenko might be tempted to endorse his 2004 rival, Yanukovych. The threat to Tymoshenko is if Yuschenko’s (and Yatsenyuk’s) voters stay home. Don’t let Yanukovych’s 10% first round margin blind you – like it did to many foreign observers (granted, they have limited knowledge of anything). The runoff is unpredictable and could go both ways. In addition, don’t expect a clear runoff. A close margin is to be expected, and Ukraine’s political divisions make it unlikely that anybody will win over 55% of the vote barring unforeseen events. Turnout, finally, was 67%, down around 8% from the 75% turnout in the 2004 first round. This reflects the popular discontent in Ukraine with politicians and parties from both sides. There’s no love for Yanukovych, who has negative ratings, but the voters are equally discontent with the pro-western movement whose achievements in power have been limited. Lower turnout didn’t have a large effect on the first round, but if first round voters who voted for a minor candidate stay home, it will drive turnout down and make the runoff quite unpredictable. Ukraine holds the first round of presidential election today, January 17. These elections are important for the future of Ukraine’s political orientation and it may also hold important repercussions in the region. The 2004 presidential election was closely disputed between Viktor Yushchenko and Viktor Yanukovych. While Yushchenko, a pro-Western and pro-European former Prime Minister led in the first round of voting, the pro-Russian Yanukovych led in the disputed and later voided first runoff. Following the ‘Orange Revolution’, after the colour of Yushchenko’s coalition, the Supreme Court annulled the results of the first runoff – universally known to be fraudulent (101% turnout in Yanukovych’s oblast) and ordered a second runoff to be held. Yushchenko won the second runoff and became President. His victory signaled an important setback for Putin in Moscow. However, Yushchenko did not fulfill the hopes his voters had originally vested in him. Firstly, Yushchenko sparred with his original Prime Minister, the ambitious pro-Western Yulia Tymoshenko and later dismissed her. He dissolved Parliament twice, in 2006 and later in 2007 sparking a political crisis due to the dubious constitutionality of the dissolution. Furthermore, like most Ukrainian Presidents, Yushchenko was not able to fulfill his promises of all sorts. His very assertive and up-front style of governing, especially in his tough relations with parliamentarians, and his lack of results have resulted in his party and his popularity crumbling to levels between 10%. Ukraine has been starkly divided between east and west for centuries, and independence has encouraged further polarization. The electoral results of 2004, 2006 and 2007 continued to reflect this polarization. In the east, historically part of the Russian Empire, a majority or at least a plurality of the population speaks Russian and a sizeable minority are actually ethnic Russians. These voters have always seen neighboring Russia as Ukraine’s obvious and natural ally economically and politically. To this region, rich in minerals (the Donetsk area is in the middle of a very large coalfield), can be added the Crimean peninsula. 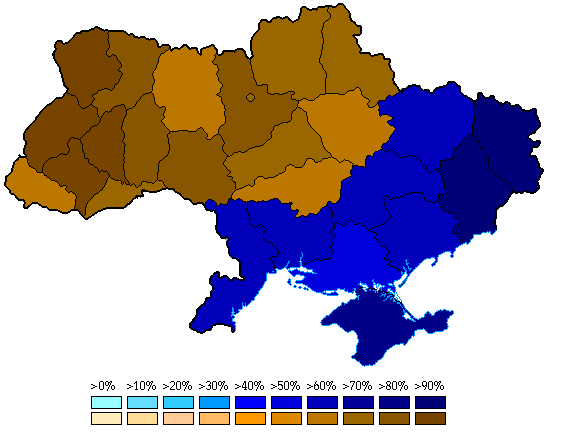 This region is even less ethnically Ukrainian (58% ethnically Russian), having been ceded to the Ukrainian SSR only in 1954. Attachment to Ukraine is extremely weak in this area: when 90% of Ukrainians voted for independence in 1991, only 54% of Crimeans voted in favour of independence. On the other hand is western Ukraine (including Galicia), historically influenced by Polish and part of Austria-Hungary until 1918. In Galicia, a sense of Ukrainian nationalism was developed under Austro-Hungarian rule (Vienna sought to prevent Moscow from gaining influence in this region) and was later the base of dissidents under the Soviet era. A large majority of voters here speak Ukrainian and there are a number of Greek Catholics in this area. Voters in western and central Ukraine have always tended to prefer moderate pro-Western parties and politicians. Yushchenko received over 90% of the vote in Galicia in the 2004 runoff(s). The main candidates in today’s election are President Viktor Yushchenko, incumbent Prime Minister Yulia Tymoshenko and Viktor Yanukovych. Despite the fact that he’ll lose by the first round and likely fail to win more than 10% nationally, Yushchenko insists on being a candidate. However, the strength of the Orange movement has seemingly shifted to Yulia Tymoshenko and her party (Bloc Yulia Tymoshenko). The pro-Western movement in Ukraine has always been divided, but on the pro-Russian side, Yanukovych and his Party of Regions have affirmed themselves as the major option for the eastern Ukrainian voter. The Communist Party, which remains very hard-left, has been progressively sidelined since their heydays in the 1990s. The Socialists, which used to be hard-left as well, have also be sidelined and lost all seats in 2007. Tymoshenko and Yanukovych are very likely to be the top-two candidates. However, two populist candidates have gathered significant steam. The first is Arseniy Yatsenyuk, former chairman of the Verkhovna Rada. He is generally centrist, leans to the west and supposedly supports political reforms. He had his peak in the summer, but has since come down to 6%. Sergei Tigipko had his surge later in the campaign, and he now polls around 15%. Tigipko is a businessman and former Governor of the Bank of Ukraine. He is a member of a small Labour Party, which supported Yanukovych in the 2004 campaign. Tigipko is generally leaning to the east, and criticized the Orange government’s foreign policy vis-a-vis Russia. The Chairman of the Verkhovna Rada Volodymyr Lytvyn, leader of the Lytvyn Bloc and member of the Tymoshenko majority in the Parliament, is also candidate on a agrarian/populist platform. Petro Symonenko, the nutcase leader of the Communist Party, who came second in the 1999 election but whose party has since fallen to around 4-6% of the vote, is candidate for a third consecutive time. His votes are concentrated nowadays in the mining region of Donetsk, and should likely flow to Yanukovych in a runoff. There are also a number of fringe candidates, a lot of them being crazy. Exit polls show that Yanukovych has around 35-36% of the vote against around 25% for Tymoshenko. Tigipko has around 11-15%, Yatsenyuk around 5-7% and only 5% or so for President Yushchenko. Turnout is lower than in 2004, highlighting the popular discontent with politicians all across the board. Yanukovych remains unpopular, and so does the Orange movement. Yanukovych leads by a large margin in the runoff polling because his voting base in the east is solidified, while the west is more divided (though still favours Tymoshenko) and undecided. The runoff will be closer than expected, but Yanukovych has an advantage there too after the perceived failure of the Yushchenko and pro-western administration. However, I have a hard time seeing how Yanukovych could win a runoff by an decisive margin in such a polarized country. A special election to fill the US Senate seat of late Democratic Senator Ted Kennedy, who died in summer 2009, will be held in Massachusetts on January 19. Ted Kennedy, brother of former President Joseph F. Kennedy and former Senator Robert F. Kennedy, was first elected in a special election in 1962 to fill a seat which his brother, President Kennedy, had held between 1953 and 1960. He was easily re-elected in 1964 through 2006. Shortly before his death, he urged Massachusetts Governor Deval Patrick to change the law for filling vacancies to allow for interim appointments before a special election can be held. The law had been changed in 2004 by Democrats who feared that Republican Governor Mitt Romney would appoint a Republican to John Kerry’s seat if he had been elected President in 2004. The winner will be up for re-election in 2012. Massachusetts, being the most Catholic state in the country coupled with a strong organized labour base and socially liberal streak, is one of the most Democratic states in the nation. It gave Obama 62% of the vote, and it was the only state in which John Kerry (who represents the state in the Senate) broke 60% in 2004. Democrats hold all state-wide offices (with the exception of Treasurer, which is held by a former Democrat, now Independent) and all 10 seats in the US House. In the State House, there are 144 Democrats to only 16 Republicans. In the State Senate, there are 35 Democrats to 5 Republicans. Governor Patrick, who was successful in passing the new succession law, appointed Paul G. Kirk to fill the Senate seat before a special election is held and its winner sworn in. Kirk made it clear he was only a seat-warmer and would not run in the special election. Martha Coakley, Massachusetts’ Attorney General won the December 8 Democratic primary with 47% against 28% for Representative Mike Capuano. Coakley, who supported Hillary Clinton in 2008 and offered only lukewarm support to Obama in November, is a rival within the state Democratic Party of Governor Patrick (who supported Obama in 2008). Coakley supports Obama’s healthcare plan and also stands with the party on social issues. Republican State Senator Scott Brown easily won the Republican primary. Scott Brown is hard to pin-down, but he is certainly what is called an ‘economic conservative’ in the US and more wishy-washy on social issues. He opposes Obama’s healthcare plan and is known to be anti-tax, but he has not come out as fully pro-life though his website does say he ‘wishes the reduce the number of abortions in America’. He also states that marriage is between a man and a woman, but he’s made his real stance on gay marriage wishy-washy as well. In a state where Republicans tend to be quite liberal, he is probably to the right of most Massachusetts Republicans (and Democrats, obviously). However, Professor Boris Schor of the University of Chicago’s Harris School of Public Policy Studies contends that Brown is a liberal Republican. There’s a third candidate, an Independent, with an original name. Joseph Kennedy, no relation to the Kennedy either by blood or political views. Kennedy is a libertarian, and some think he could get a small share of the vote from voters thinking they’re voting for a real Kennedy. Massachusetts in a safe Democratic state, but a general growing discontent with Obama coupled with a series of verbal gaffes by an uncharismatic and rather poor candidate like Martha Coakley has changed this race into a very close race. A few polls have had Brown ahead, and all serious pollsters rate the race as a tossup. Rasmussen had Coakley ahead 49-47, and PPP has Brown ahead 48-47. The race remains very close and both candidates have a realistic chance to win. A Republican victory in such a Democratic state would probably send a shockwave signal to Democrats and Obama of the danger they’re in, especially in regards to the November 2010 mid-terms. However, it remains a special election where turnout patterns are different than those usually seen in November. Democrats hope that a visit by Bill Clinton and Barack Obama can prevent Coakley’s vessel from sinking from the weight of her awful campaign. Democrats. Posted in By-elections, Massachusetts, U.S.A. The runoff of the Croatian presidential election was held on January 10, 2010. The runoff for the rather symbolic office of President opposed Ivo Josipović of the opposition Social Democratic Party (SDP) to the Independent/former SDP Mayor of Zagreb Milan Bandić. The campaign between the two opponents was rather bloody, with Bandić notably accusing Josipović of being a puppet of the SDP’s leader, Zoran Milanović (a major rival of Bandić) and that he would be a ‘tele-guided’ President and not an ‘independent’ President. Somewhat interestingly, Bandić also used the issue of religion against the agnostic Josipović by claiming that he himself was a devout Catholic and had the support of the Church. However, with most of the political establishment behind Josipović (except for the governing HDZ, which remained neutral) and only limited political support for Bandić, Bandić’s efforts were mostly last-ditch attempts and they didn’t pay off. He trailed by a large margin in all polls, notably by 17% in the last poll on January 7. Bandić’s only victory was in Lika-Senj County, which was the same county which HDZ candidate Andrija Hebrang won in the first round. Bandić, who was born in Bosnia and is a Bosnian Croat, did best in the coastal regions along the Adriatic – a lot of which is former Serbian Krajina territory and electorally the base of the HDZ. He also did well in various communities near the northern Bosnian border, a number of which were part of Serbian Krajina. That being said, his vote in those places was ethnically Croat: Bandić’s appeal as a rather right-wing populist candidate probably played a big role. The Serbian minority in Croatia, which is now only 5% or so but a majority in a number of municipalities, voted in large numbers for Josipović (such should be obvious. Croatian Serbs voting for a Bosnian Croat are things that cannot happen). For those who are interested by Balkan ethnic minorities (like me) please see this map of Serbs in Croatia and this map of the results by municipality. On the other hand, Josipović blew Bandić out of the water big time along the Slovenian border and in Istria (16.6% for Bandić), whose inhabitants’ political views are much more moderate, probably due to the history of the peninsula. In Zagreb, where Bandić is mayor, there was no favourite-son vote to be seen and Josipović won 62.2%: above national average. There was, however, a kind of favourite son vote from Croat citizens voting from Bosnia, winning 94.3% of the vote there. As we enter the second decade of the twenty-first century and 2010, I’ve chosen to look back on the top 20 elections which have marked the 2000-2010 era. Undoubtedly, it’s easy to come up with 30 to 40 elections in the past ten years which have been important, but these are elections which I deem to have had an important effect not only on the country itself but on the region and the world. In addition to that, the ‘criteria’ of sorts expands to include elections which saw surprising and unpredictable results. Basically, I’ve asked myself if these elections had not taken place or if the results had been different, would the country be very markedly different and would the region/world be different. As a result, the ranking is purely subjective though I’ve tried to do it with a balance world view. United States, 2000: Undoubtedly, the election of George W. Bush has marked the decade. If Bush had not been President, the world would have taken a different path in a lot of regards. Secondly, on the local scale, the 2000 election marked the rise of the Christian right within the Republican Party and ushered in some important changes in electoral behaviour, at least in presidential elections. Lastly, the disputed elections in 2000 have become a more and more common event around the world, and the importance of the electoral college has been re-emphasized in American elections since the 2000 debacle. United States, 2008: The historical significance of the election of a black President in a country such as the United States, and only 40 years after 1968, cannot be underestimated. While a lot of changes in policy might end up being minor in the grand scheme of things, the election of Obama has had an effect on world politics and the idea of a minority President or a ‘local Obama’ is a common theme in a number of countries. In addition, 2008 has brought a minor re-alignment of sorts in American electoral geography and sociology. Ukraine, 2004: Ukraine’s 2004 election has ushered in a division between east and west in Ukraine’s electoral geography and political debate. The divide is very marked, and it will likely remain so. In the short run, the election also merits to be recognized because of the political effects it had on Ukraine, Russia and the world. It was a major moment in various ‘democratic’ revolutions in the former Soviet Union, and was seen then as the first disengagement of a close Russian ally from the Russian circle. Lastly, you don’t see a three-round election often these days. Iran, 2005: The election of Mahmoud Ahmadinejad has had a very important effect on Iran and the world. On the national scale, it marked not only a backlash against the American invasion of Iraq and Bush’s policy, but most importantly against the liberal and reformist policies of Ahmadinejad’s reformist predecessor Mohammad Khatami. On the international scale, I think the effects of Ahmadinejad’s election have been made very clear since 2005. Mexico, 2000: The election of Vincente Fox in Mexico might not have had a huge effect on the world, but on the national scale the significance of the defeat of the PRI machine after over seventy years in power is not to be down played. 2000 in Mexico represented the conclusion not only of the PRI’s decline since the 1988 election but most importantly the arrival of real competitive politics in Mexico. Palestine, 2006: The election of the Hamas to power in the Palestinian Authority has had effects of undeniable importance. It represented, firstly, a change in Palestinian policy compared to the Fatah governments and a backlash against the corruption of the Arafat/Fatah establishment. Secondly, the after-effects on the government and Palestinian government have been quite important with the emergence of conflicting sides within the Palestinian independence movement. Bolivia, 2005: I find that the importance of Evo Morales’ election on Bolivia and the region has been downplayed a lot. The election of the first indigenous head of state in a country where they form a large majority (but an historically repressed and politically dormant majority) has changed Bolivian politics. The wealthy few, of white or mestizo descent, do not control the country’s natural resources anymore. Morales’ socialist policies and constitutional reforms in favour of socialism and indigenous Bolivians have made him an important player in South America, and represent a departure from the neoliberal policies of Bolivian Presidents such as Gonzalo Sánchez de Lozada. With Morales and the participation of a majority in Bolivian politics, the future of Bolivia and its neighbors cannot be the same anymore. Taiwan, 2000: The effects of the election of Chen Shui-bian on Taiwanese politics can be seen as similar to the effects of Fox’s election in Mexico the same year. It marked the end of more than half of a century rule by Chiang Kai-Shek’s Kuomintang. Like the defeat of the PRI, the defeat of the KMT marked the end of an era. The election of the Taiwanese nationalist DPP led to tenser relations with mainland China, and to hopes of change. In the end, however, it ended with corruption, nepotism and a major backlash against Chen Shui-bian’s DPP in the 2008 election and the return of the KMT to power. Russia, 2000: While the results of the Russian presidential election of 2000 are not interesting in themselves, they are important in a regional and global context. Putin’s election in 2000 has changed Russian policy, leading to the rebirth of nationalism in Russia and a change in Russia’s foreign policy from a more laid-back and pro-American approach under Yelstin to a tougher and more assertive approach under Putin. Without Putin, it’s undeniable that the decade would have been different. Japan, 2009: Another election which marks the end of a long-era of single-party dominance. In Japan, the landslide victory of the DPJ in the 2009 election was predictable since the DPJ’s victory in the 2007 upper house elections, but it remains a noteworthy election because it still represents a major blow to years and years of conservative rule in Japan. While policies might not see a earth-shattering change, the defeat of a mighty electoral machine known for its patronage and close relation to big business is a major shift in a country’s politics. Spain, 2004: Spain’s 2004 elections enters the list partly because the results came as a surprise. Held only days after the terrorist attacks in Madrid, the election led to a sudden and unpredicted change in Spanish politics from the right (the PP) which had supported the US intervention in Iraq, to the left (Zapatero’s PSOE) which opposed the Iraq war and pulled out of Iraq shortly thereafter. A change of government in itself is not enough to make an election a top election of the decade, but the surprise effect has a place in the criteria. India, 2004: Like Spain the same year, the 2004 election in the world’s largest democracy saw surprising results with the defeat of the Hindu conservative BJP. Furthermore, it has marked a change in policy from a controversial Hindu nationalist approach to the old consensual style of the Congress. Brazil, 2002: After running in election after election and suffering humiliation almost every time, Lula and the PT’s election in 2002 led to the establishment of a new left in Brazil and the re-emergence of the Brazilian left after military and civilian rule known for more neoliberal economic policies. In the short run, it closed the neoliberal era of Cardoso although it’s false and very unfair to say it led to socialist policies. Lula’s presidency has given the left credit in Brazil, credit it had first lost with Goulart in 1964 and later under Lula in the 1990s, but most importantly has placed Brazil on the map again as a major economic and political power. Lula’s rule has transformed Brazil, and even if the right wins this year, Brazilian politics will have been transformed in a very important way, perhaps the largest change since the Vargas era. Venezuela recall referendum, 2004: The Chavez era in Venezuela and South America needed mention, and I believe that the 2004 recall referendum is the ‘Chavez election’ which merits recognition. Unlike the presidential elections under Chavez, the recall referendum marked the defeat of an American-supported attempt at the removal of an element in South America which opposed American interests. Without Chavez, politics in South America would undoubtedly have been very different. France EU constitution referendum, 2005: I had a hard time deciding about the importance of a European Union-related referendum and which to choose (Dutch and French votes in 2005, the Irish vote in 2008) before settling on the French vote in 2005. The rejection of the EU constitution by France in 2005 not only stopped (until 2007) the EU constitution process, but in political terms it marked the rejection by the ‘people’ of a text widely supported by the ‘elite’, a theme which was common in the 2005 campaign. Australia, 2007: As said above, changes in government don’t often merit recognition in the view of the decade, but the final defeat of Howard in Australia in 2007, after being in power since 1994, merits some sort of place on the list. After years of conservative rule marked by support of the US intervention in Iraq, conservative policies socially and Australia’s failure to ratify the Kyoto Treaty; the election of the Labor government in 2007 has changed Australian policies in a number of ways. This change of government is important enough to merit recognition. Montenegro independence referendum, 2006: It’s certain that the creation of a new nation – especially in the Balkans powder keg – through peaceful and electoral means merits some sort of place on the ranking. While the geo-political impact of the addition of another small country have been very minor, the referendum in Montenegro was significant enough to garner attention from places like Quebec (where independence referendums in 1980 and 1995 both failed) and Spain (where places like Catalonia and the Basque Country actively seek independence) notably because of the 55% threshold imposed for the passage of the referendum. Turkey, 2002: The election of the ‘Islamic democrat’ AKP and Erdogan in Turkey in 2002 (and it’s landslide win in 2007) marks the emergence in Turkey of a more clerical and religious current as opposed to the nationalist and secular views of Kemalism; and the emergence in the region of parties which are the Muslim counterparts to European Christian democracy. Côte d’Ivoire, 2000: I absolutely think that an African election merits recognition, partly because they’re unfairly forgotten by the world media. The election of Laurent Gbagbo and the clear divide in results between north and south in the West African nation of Côte d’Ivoire led to the 2002 uprising and the ensuing civil war which ended only in 2007 and the political crisis which might potentially end this year with another election. The civil war, and French involvement in the mediation process, has had an important effect on West Africa. France, 2002: The surprising results of the 2002 presidential election in France, with the second place showing of the far-right led to a major recognition of the rising strength of the European far-right. 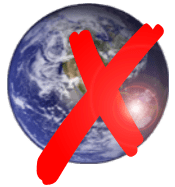 However, it should remain low in the list because it only marks a media frenzy over the far-right and did not lead to significant changes in European geo-politics except perhaps recognition of the far-right’s existence (though previous elections in Romania and notably Austria saw similar results with the far-right). Of course, this list excludes a vast number of other elections, and I feel that some justice must be rendered to them. Here are only some of the ‘honourable mentions’, which did not make the list. United States, 2004: The close re-election of George W. Bush in the midst of the Iraq war was a two-sided deal: a confirmation of Bush’s Presidency which he controversially won in 2000 but also the fact that Bush remained a very divisive President, even against an opponent generally accepted to be weak. Argentina, 2003: The election of Nestor Kirchner and the ‘Peronist left’ marked the end of the neoliberal era in Argentina, and the defeat of its main proponent: Carlos Menem. Poland, 2005: The Polish elections of 2005, which saw the election of the Kaczyński twins to power, marked a re-alignment in Polish politics with the consolidation of power in the hands of the PiS and Civic Platform with the mainstream left sidelined into a third party. Later elections in 2007 and 2009 have proved that this system of power shared between two centre-right parties and a small centre-left party endures, although the far-right has been sidelined since 2004. Israel, 2001: Although forgotten since his coma, Ariel Sharon has influenced the volatile geo-political situation of the Levant in a significant way, especially in the first half of the last decade. His election over Ehud Barak marked a conservative turn in Israeli politics vis-a-vis Palestine, after the perceived failings of Barak’s Camp David negotiations in 2000. Since 2001 and Sharon’s election, Israeli politics have proved volatile with the split in Likud, the creation of Kadima and the electoral decline of Barak’s Labor Party. Denmark, 2001: The Danish election of 2001 and the defeat of the Social Democrats in a campaign focused on immigration and asylum marked one of the first incidents in Europe of an electoral campaign over the theme of immigration and a conservative reaction to the increasing number of asylum seekers. Iran, 2009: While the long-term effects of the Iranian election of 2009 are not yet known, the violent protests following the election, allegedly rigged in the conservative’s favour, are the first incidents of violent protests against the Iranian regime in a number of years and, according to some, this election may end up being the first trigger to the potential overthrow of the Iranian theocracy. Malaysia, 2008: In the 2008 elections in Malaysia, the United Malays National Organization (UMNO) and its allies, which have ruled Malaysia since independence, saw their majority suffering serious loses (from 90% of seats to a mere 64% of seats) in favour of a heterogeneous opposition movement of liberals, hard-line Islamists and the left. The defeat of the UMNO and its allies might not come tomorrow, but the opposition has kept gaining strength and the end of UMNO hegemony in Malaysia might come soon – and this would entail serious changes in the country. Zimbabwe, 2008: The disputed 2008 elections in Zimbabwe saw the opposition to Robert Mugabe gain control of the legislature and the opposition’s candidate win a plurality in the contested first round. While it has not yet seen the end of Mugabe’s rule, things are slowly changing in Zimbabwe. Ghana, 2008: The Ghanaian election of 2008 is notable for it saw a very narrow result (50.2% for the winning left-wing candidate in the runoff) – and, a rarity in many African countries, a non-violent transfer of power between the ruling right-wing government and the left. Ireland Lisbon I referendum, 2008: The Irish rejection of the Lisbon Treaty in 2008 was as significant to the European Union’s ‘reform process’ as was the French rejection of the EU constitution. The relatively large NO vote, which came as a mild surprise to many observers, stalled the Lisbon Treaty’s ratification until Ireland held a second vote which succeeded in ratifying the treaty. France, 2007: Sarkozy’s election in France, in an election which received significant attention from the New World and also other European countries, marked a change of generation in French politics with the arrival of the ‘new guard’ of politicians (Sarkozy, Royal) being a major theme in the campaign. Sarkozy’s victory also resulted in a change of style in French politics, with a much more assertive Presidency on the forefront. Every list like these are often incomplete affairs. I could go on and on, noting a number of elections including the victory of the left in Latin American nations such as Paraguay, Uruguay, Ecuador and El Salvador; John Howard’s victory in the 2001 election in Australia; the close election in Germany in 2005; Medvedev’s election in Russia and the establishment of the Medvedev-Putin duo in the executive; Blair’s 2001 and 2005 re-elections in the UK; 0r the right’s victory in Sweden’s 2006 election. The decade has been rich for elections, so this remains only a very subjective and concise list.